First announced in Japan, the Sound Blaster Play! is finally coming to Singapore. 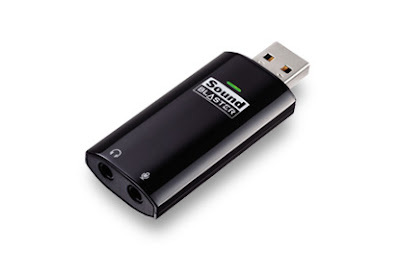 Designed for laptop users, the Soundblaster Play! now allows you to enjoy quality audio anywhere you go. Enjoy your movies with CMSS (Creative Multimedia Surround Sound), play games with realistic sound effects with the EAX ADVANCED HD or simply chat with your overseas friend in crystal clear audio. Available in mid-august at all Creative Stores and authorised dealers for the unbelievably cheap price of SGD$29.